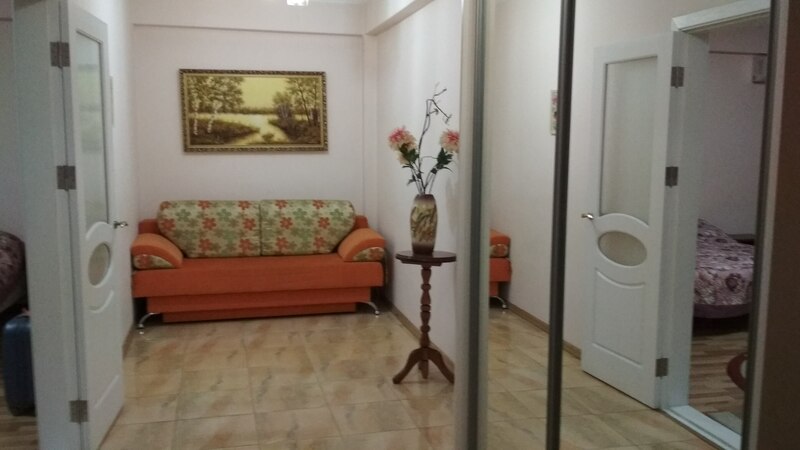 This one-room studio apartment in the center of Chisinau is located in a new residential building on the Anestiadi Street, close to the Stefan cel Mare Boulevard and crosses Ismail Street. The building is provided with a closed courtyard, parking places, a large playground for children, video surveillance in the block and the courtyard. 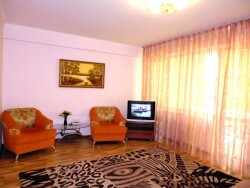 Near at hand are to be found numerous cafes and restaurants and several main shopping centers of Chisinau. 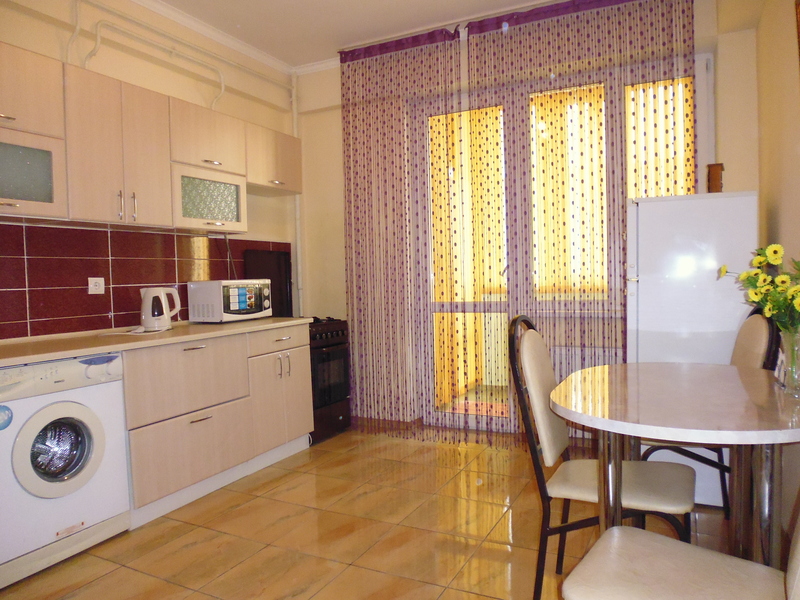 This large apartment for daily rent in Chisinau with a total area of 65m2 has an individual design, is stylishly renovated and illuminated, is equipped with French windows. 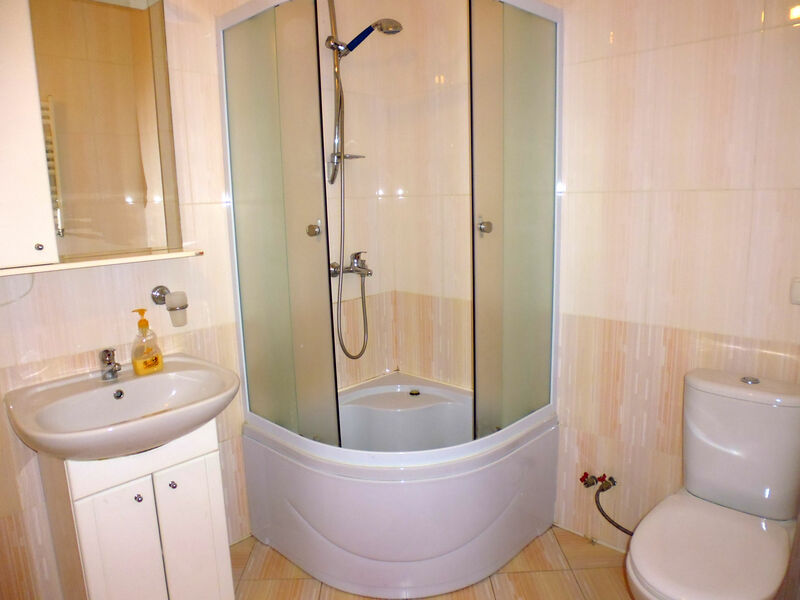 In this apartment can comfortably stay up to three persons, and if it is necessary the fourth person can easily join. 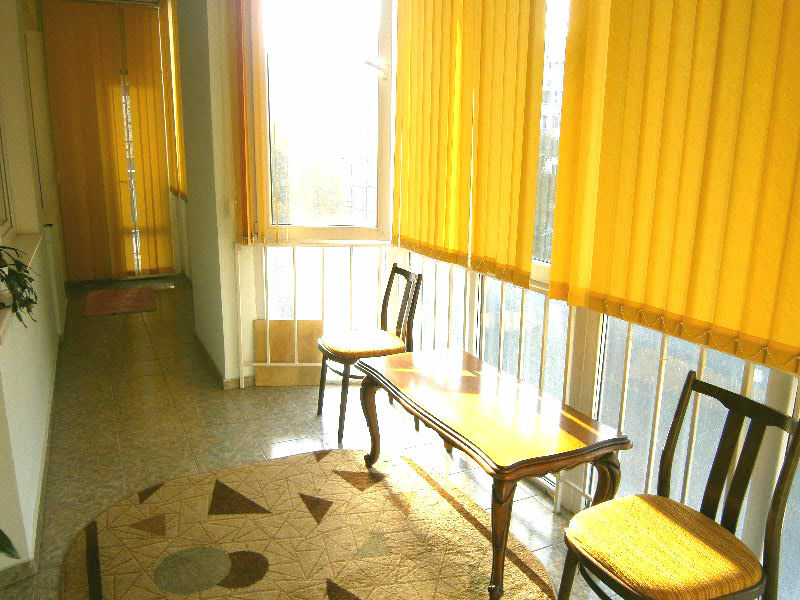 You will definitely enjoy your leisure time on our huge balcony with a total area of 25 m2. 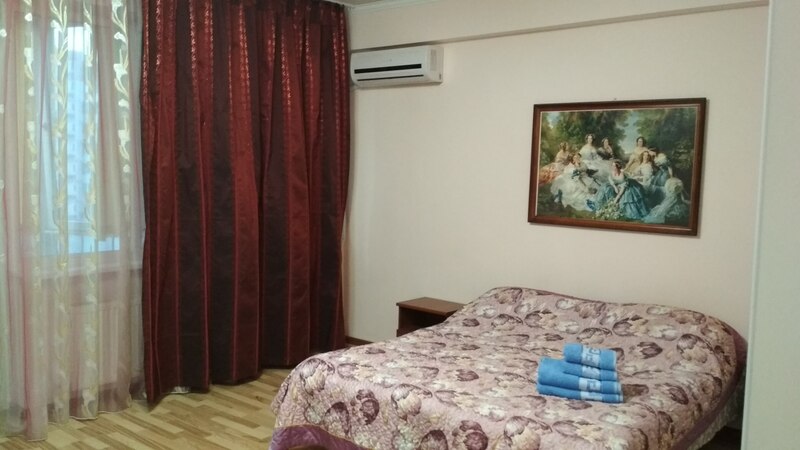 The apartment is provided with all the necessary household appliances, LCD TV, high speed WI-FI internet (for free), independent heating, air conditioners, washing machine and other necessary things for a modern life. Landmarks: the shopping and leisure centers Baby Hall, Grand Hall, Atrium, Karaoke Vivaldi, Jiraffe Café, The Maraton store, Moldtelecom, Best Western (ex-Flowers Hotel). 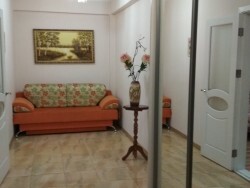 Apartment is often booked by people, visiting Canada Visa Application Centre in Chisinau (Ciuflea 36/1 str), which is placed one-minute walking away. 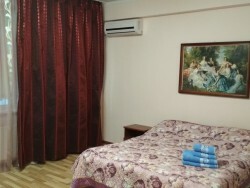 Homely comfort awaits you. You will definitely come back to us! Address: Anestiadi, 8 Street, a new residential building (at the intersection of Ismail and Stefan cel Mare streets). 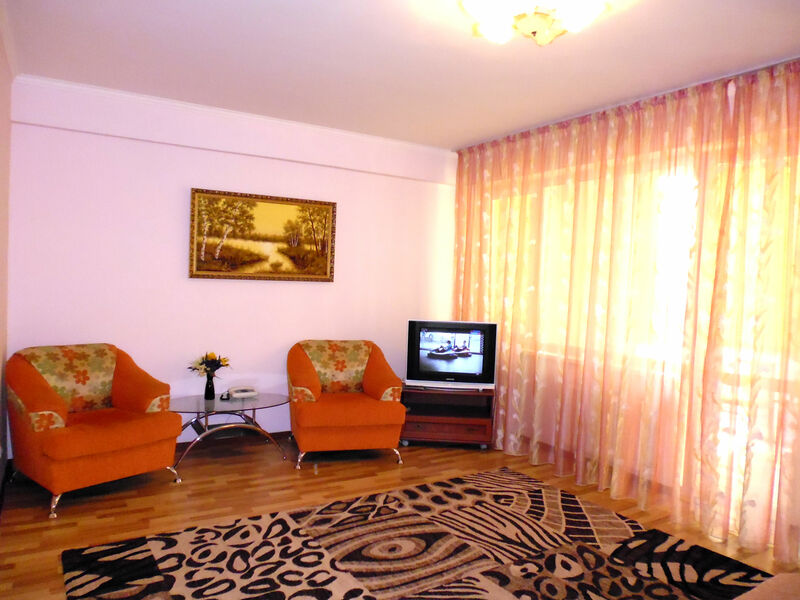 Cable TV: 120 channels, different languages. 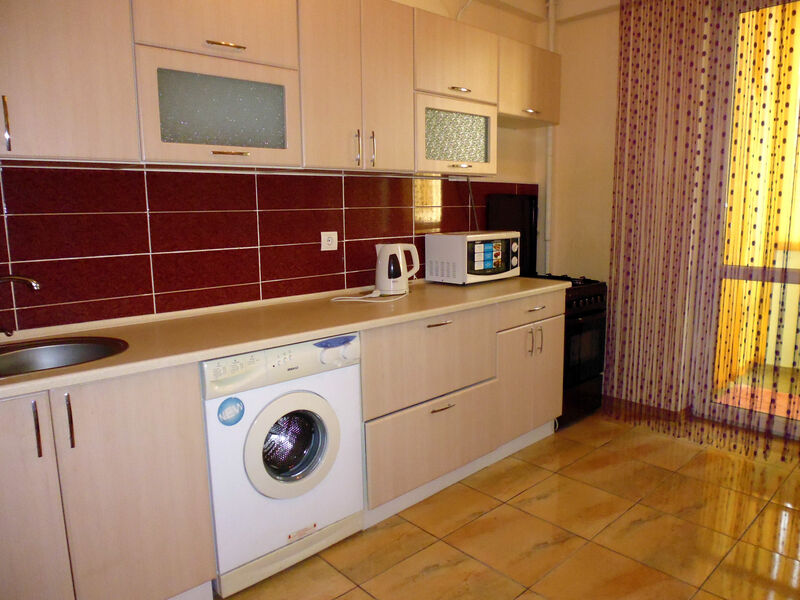 Price: 25 euro per day (up to 8 days – 10% discount). For an additional price, we can arrange airport transfer for you. 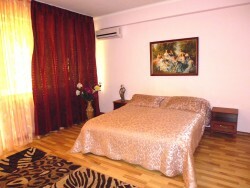 Most people prefer to rent 2 room apartment in Chisinau, rather than book a room at the hotel. 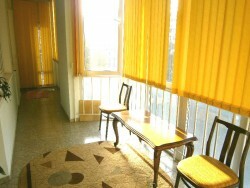 The reason is simple: at a lower price they get a more comfortable atmosphere. But be careful to rent apartments without intermediaries.